I’m now playing with Unreal Engine and I found out that the XBOX controller that I use for testing is hard to map to the actions because of the weird names. 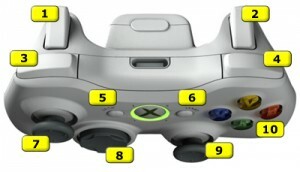 Some of the actions ends with Axis (like Gamap Left Thumbstick Y-Axis). Those map with InputComponent->BindAxis. Rest of the buttons map via InputComponent->BindAction.